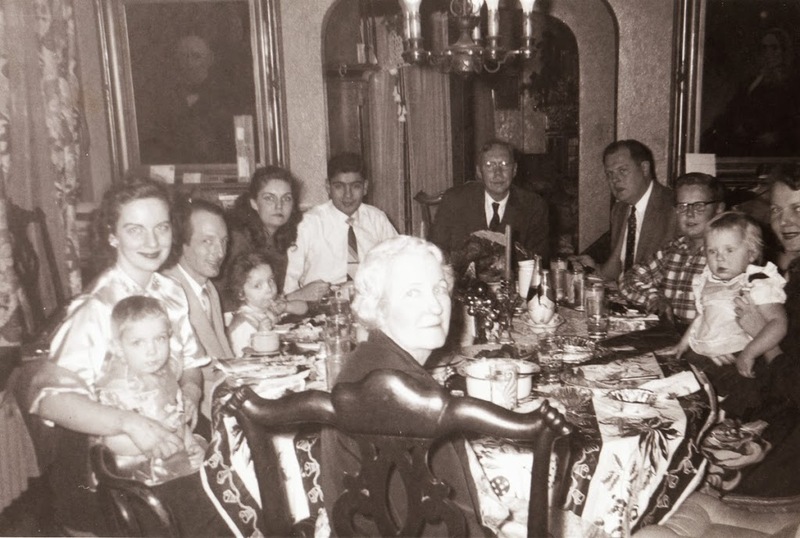 Message for Mr. Joe Adachi, CEO of Canon U.S.A.
Dinner at my grandparents, Sherwood and Helen Pinkerton’s house on Richmond Road in Toledo, Ohio, 1954. Baby is me. Woman on left is Aunt Elise Pinkerton Stewart. (see blog post, The Tea-Dyed Brown Dress.) 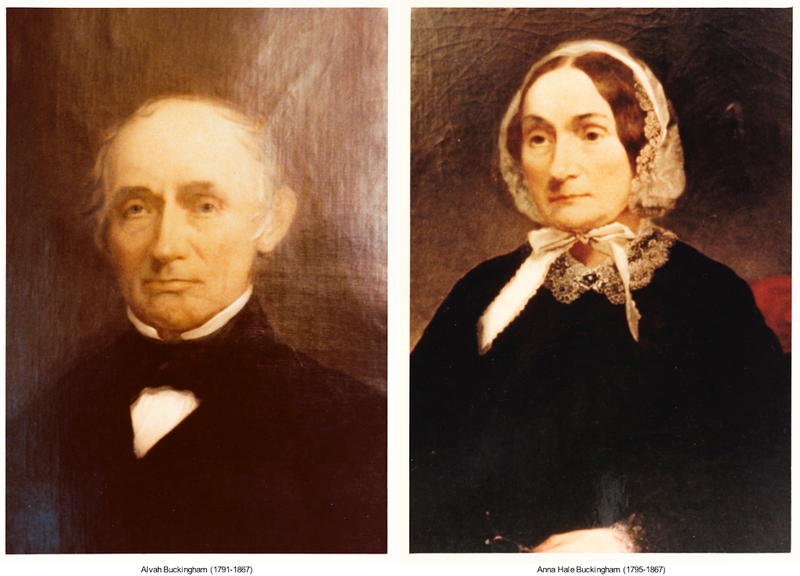 Paintings of Anna and Alvah Buckingham on the wall. I never thought of my ancestors as being activists by looking at these two in the paintings that I grew up with in my grandparents dining room. But now I see them in an entirely different way! They came from fierce New England Puritan stock who believed that the laws of God trumped the law of the land that allowed slavery. Putnam was a small village across the river from Zanesville Ohio, and my New England ancestors were among the original settlers. Zanesville, on the other hand, was settled by folks from Kentucky and West Virginia. And there were fights. My ancestors’ names are Alvah and Anna Buckingham. 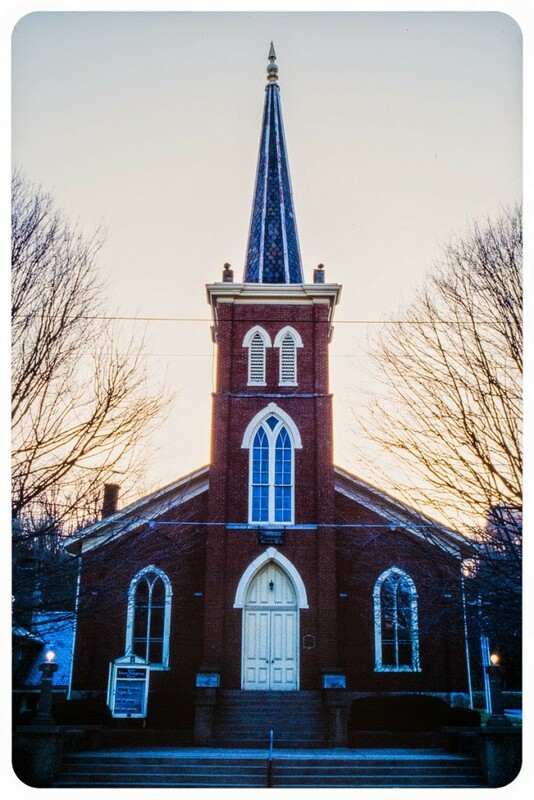 Alvah helped build the Putnam Presbyterian Church in 1835, which was actively involved in the abolitionist movement. William Beecher, brother of Harriet Beecher Stowe, was the first minister of the church. Frederick Douglass spoke there in 1852. For many years, the church held a monthly prayer service for the abolition of slavery. 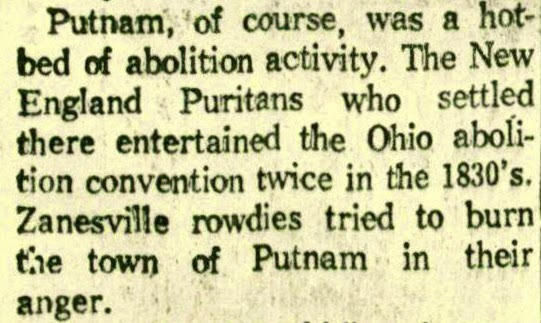 The first Ohio Anti-Slavery Convention took place in Putnam, as well as the first publication of the abolitionist newspaper, The Philanthropist. What a great community! 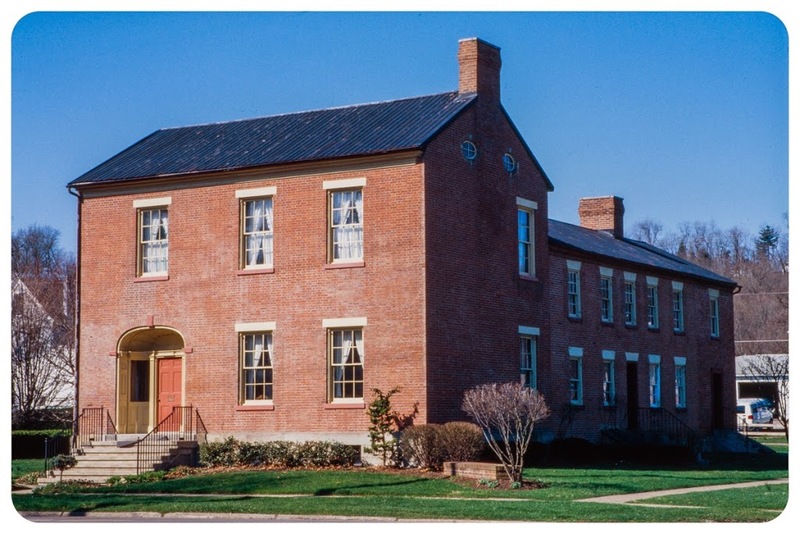 In 1799, when Alvah Buckingham was 8, his family moved to southeast Ohio, on horseback. 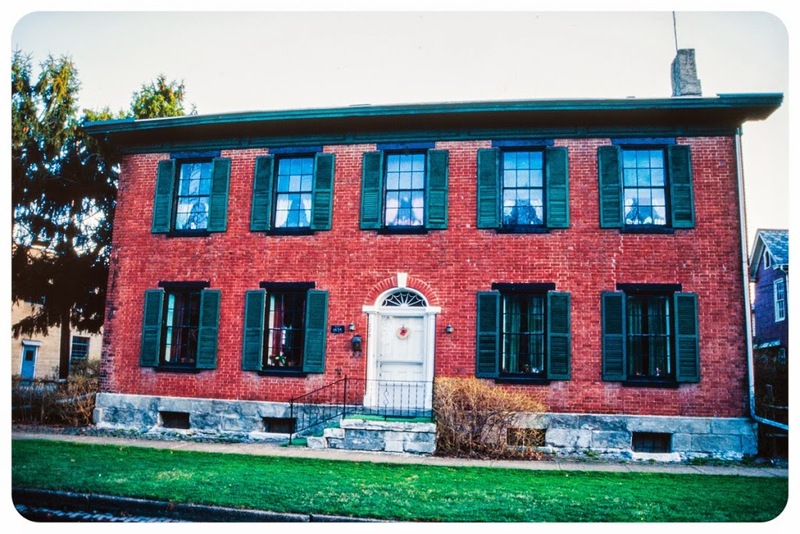 In 1819 Alvah met Anna Hale of Glastonbury, Connecticut on a trip back east and married her. They built a house on Moxahala Avenue in 1821. (Three generations have subsequently lived in the house.) He was in the mercantile business with his brother and brother-in-law and later, opened a lumber trade. In 1852, he built the first grain elevator in Chicago, and owned the first grain elevator in Toledo. 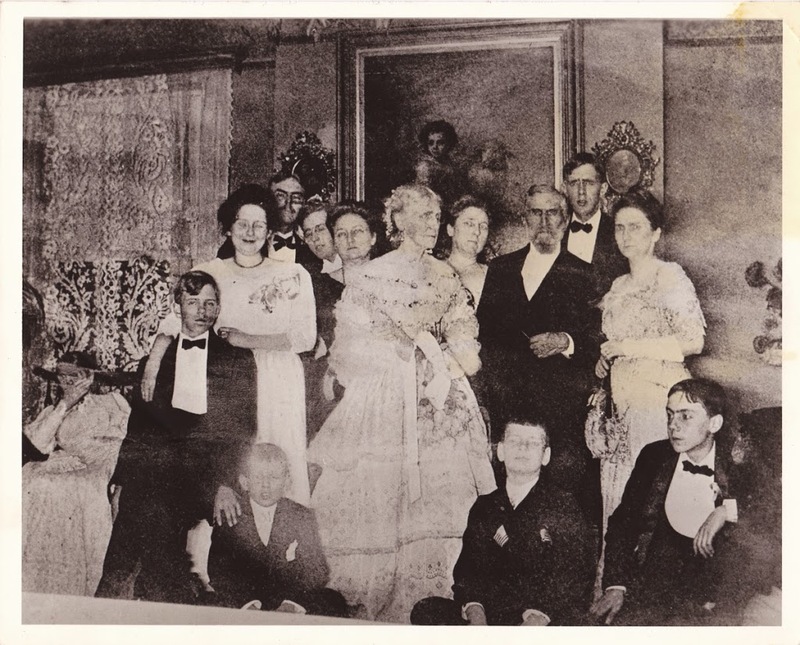 In 1865 when Alvah was 74, he and Anna moved to New York City to be closer to their two daughters who also lived in New York City. They owned a home at 13 East 12th St.
Anna Buckingham died of pneumonia on September 23, 1867, and her remains were brought back to Ohio. Alvah Buckingham died 11 days later, on October 4, 1867. 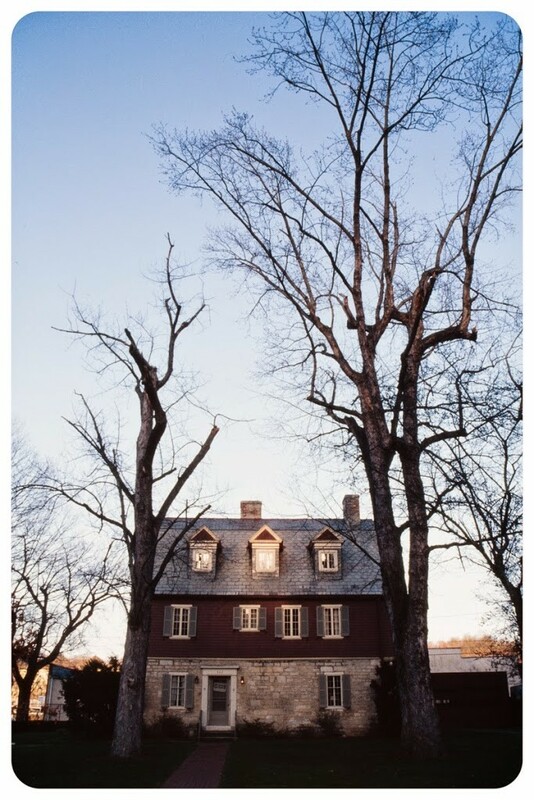 In 1639, Alvah Buckingham’s Puritan ancestors settled the farthest most reaches of America – Milford, Connecticut. Alvah was descended from immigrant ancestor, Thomas Buckingham, born in Minsden, Herts, England. Alvah’s father, Ebenezer Buckingham, fought in the Revolutionary War. My grandfather, Sherwood Pinkerton Jr. later to be president of the family business, The Pinkerton Tobacco Company in Toledo, Ohio, is sitting in lower right corner. 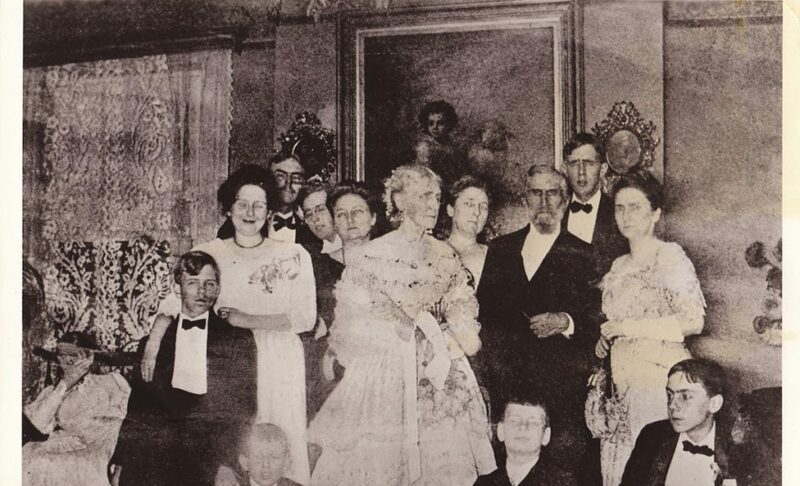 His mother, Julia Buckingham Pinkerton is standing behind him, next to her father, James Buckingham. James’ wife, Jane Wills Buckingham is in the center. The room they are in is the front right side of the 405 Moxahala Avenue house, shown above. Photo circa 1905. 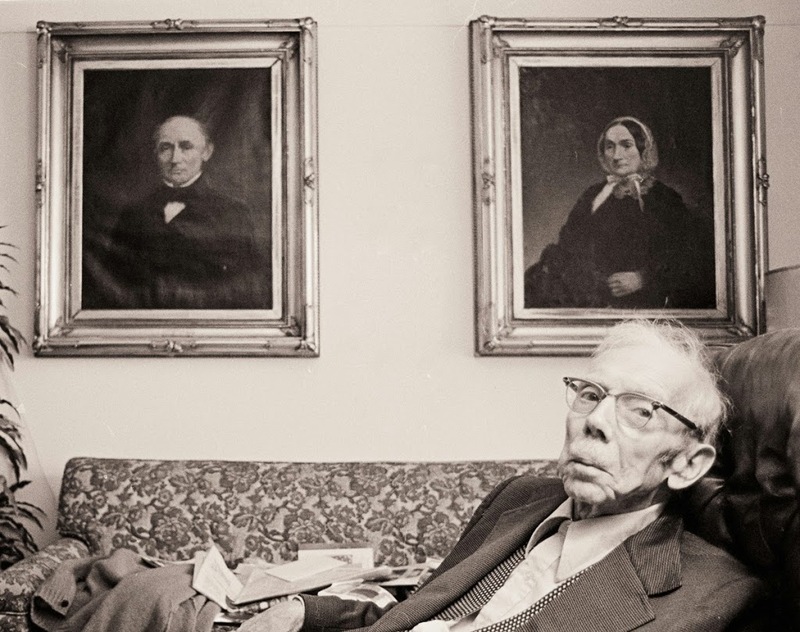 Sherwood Pinkerton with the paintings of his great grandparents, in his Central Avenue apartment in Toledo, November 1979, six weeks before he passed away. 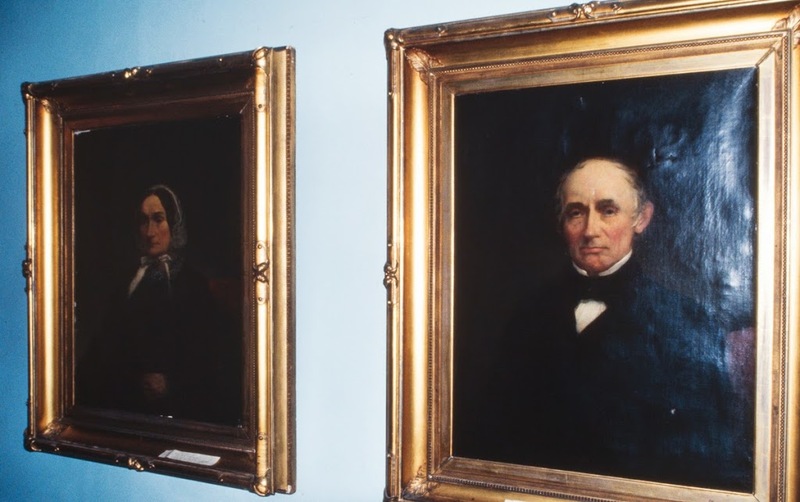 Increase Mathews house in Putnam, where the portraits of Alvah and Anna Buckingham hang.